It’s been a month since Martin and I have taken on our new roles and what a month it’s been. 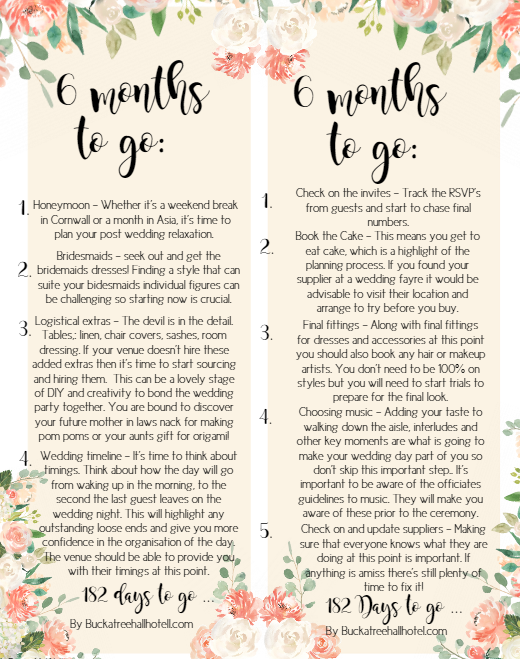 In-between meeting our existing Brides and Grooms (who have all been lovely) we’ve been getting ourselves up to speed on every aspect of the department. Luckily working side by side has meant time for lots of laughter whilst digging into endless paperwork. Anyone who meets Martin will know that he has always got time to find the lighter side of life, to share a joke and a smile which makes working with him a pleasure. 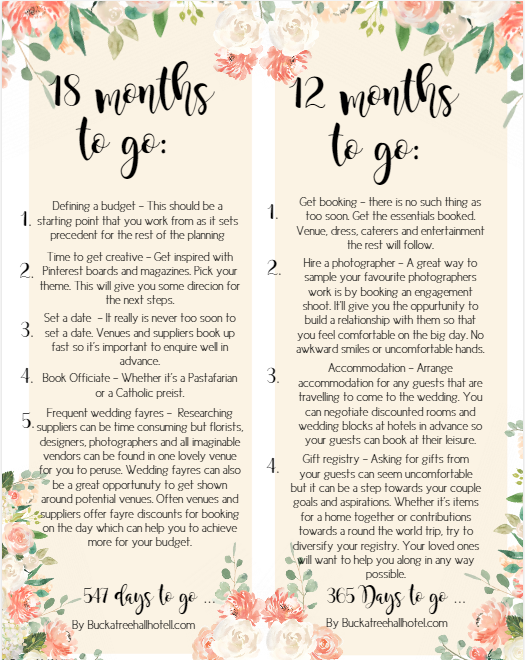 During my first month in this role I’ve listened to our future Bride’s and Groom’s talk about how daunting it can be to plan a wedding. There is a host of research, planning and decisions to be made – not forgetting of course budgeting! As a wedding venue that is family owned and operated we guarantee a more personal approach to wedding planning. We are empowered to help in whatever way we can to make wedding planning a little bit less stressful. 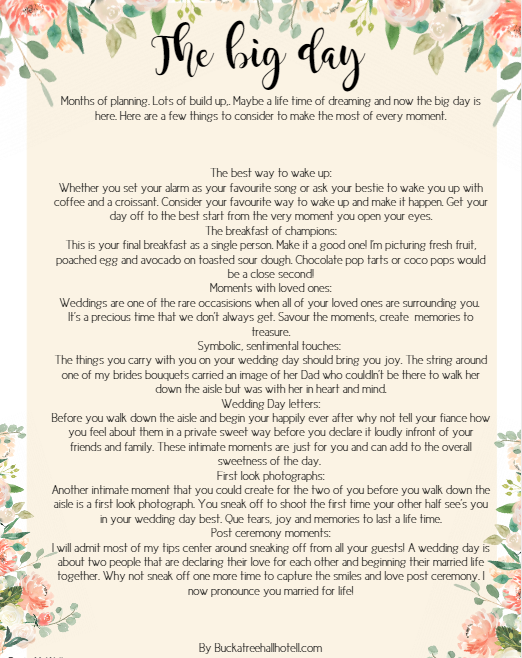 So, this is the first of a weekly blog series where we’ll share tips and tricks from a wedding planner’s point of view. 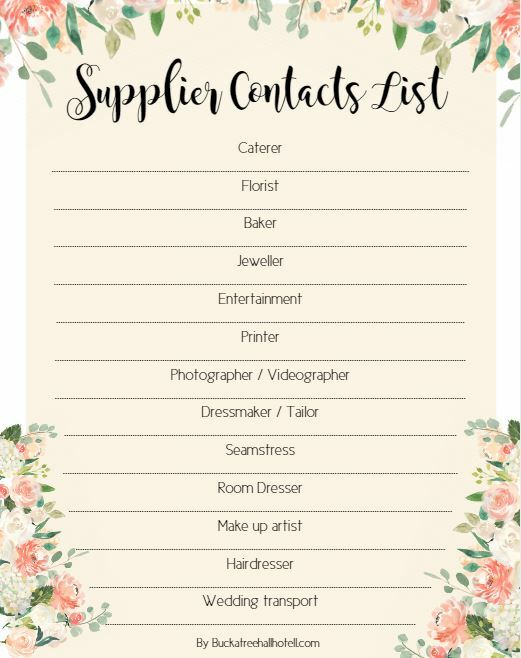 From wedding playlists to favour ideas and supplier directories we hope to help with all aspects of your wedding. First up we have created some handy, printable checklists to keep you on track. If like me you write endless lists on scrap pieces of paper I hope that these prove to be helpful (for us both). 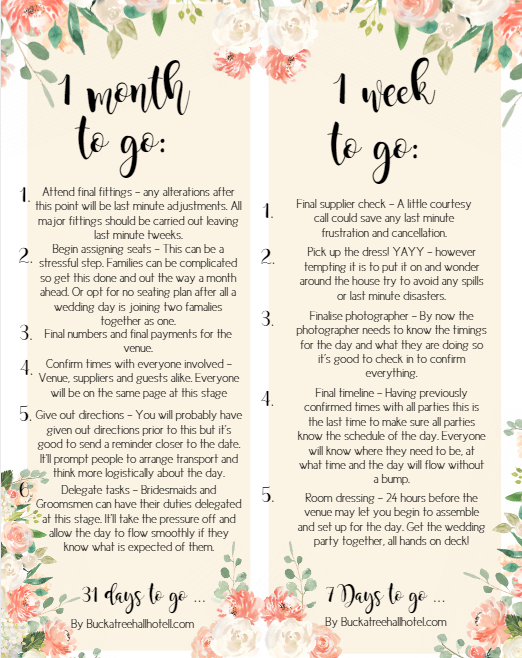 See you next week for more wedding planning tips.